a brief description of how much help you want. Everyone needs a custom level of assistance, so we charge per hour. 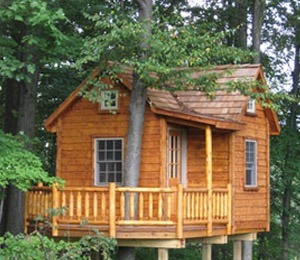 Our tree house consulting rate is $150 per hour (call for engagements longer than one day). For initial tree house or platform design, it usually takes 1 to 4 hours to give you enough help to do a good job on your own. But this does depend on the complexity of your plan and your knowledge and skills. Depending on your specific situation and goals, you may want to proceed with designing a tree house or bringing others in for more information. Most designers, engineers, and consulting arborists will charge $100 to $275 per hour. All of these steps are not always necessary, and we will help explain the risks & benefits of each. For additional tree house consulting options, visit our On Site Consulting page or Contact Us to make an appointment and begin.